Bhopal, August 7: We often go for picnics to relax our minds and in another way to refresh ourselves, this is often seen in human but have you heard picnic for animals? 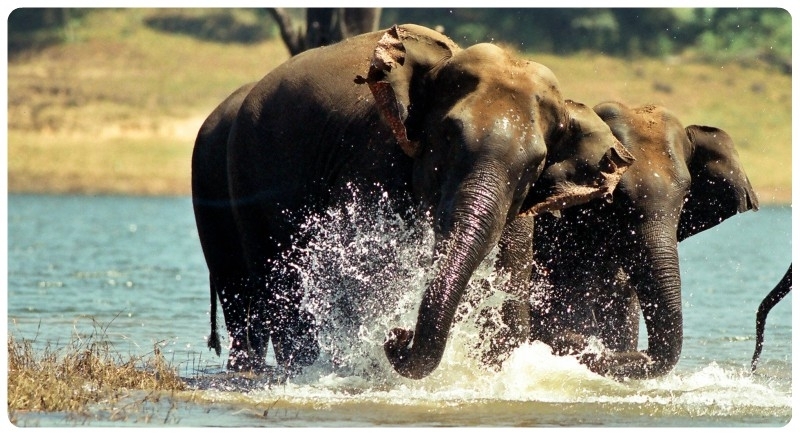 If not then visit the Kanha National Park in Madhya Pradesh where elephants are on a week-long picnic. This picnic, which is arranged every year, includes massaging for the elephants and a delicious menu. The objective of a picnic is to provide family time to Jumbo. The picnic will culminate today with the worship of nature and feast for all. Kanha National Park management has been organizing such picnic for the service of more than a dozen elephants for the past seven-eight years. Picnic includes bathing of elephants, massaging as well as special health tests and treatments. Elephants are given their favorite food like mango, sugarcane, pineapple, banana, coconut, and Jaggery. During this period, all the elephants of National Park are residing in one place as a bigger family. The picnic is also helpful in increasing the population of elephants.